The Law Offices of David M. Lederman has been providing high-quality service in family law and immigration law since 1997. Described by clients as "aggressive" and "honest", our firm aims to provide the best service available in Contra Costa and Alameda Counties. We are conveniently located in Antioch and the ability to meet with immigration clients in Oakland as well. 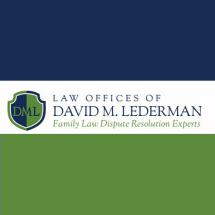 Mr. Lederman is a Certified Specialist in Family Law by the State Bar of California, Board of Legal Specialization. He has been a practicing attorney since 1995. We boast the distinction of being the only law firm in Contra Costa County with an office in Antioch and a certified family law specialist. Mr. Lederman is a member of the Board of Directors of the Contra Costa County Bar Association's Family Law Section and has been elected Section President for 2008. He is joined in the family law practice area by Thomas H. Smith. Amy T. Lee oversees the immigration practice of the firm. Ms. Lee has been a practicing immigration attorney since 1995. Formerly a trial attorney for the U.S. Immigration and Naturalization Service, she also served as Senior Counsel for Immigration and Employment for PeopleSoft, Inc.
Ms. Lee volunteers her time as a coach for Special Olympics on the weekends. The firm represents clients in all Family Law and Immigration Matters. All members of the firm participate in continuing legal education seminars, professional association activities and civic affairs. This firm strictly protects its client's privacy.